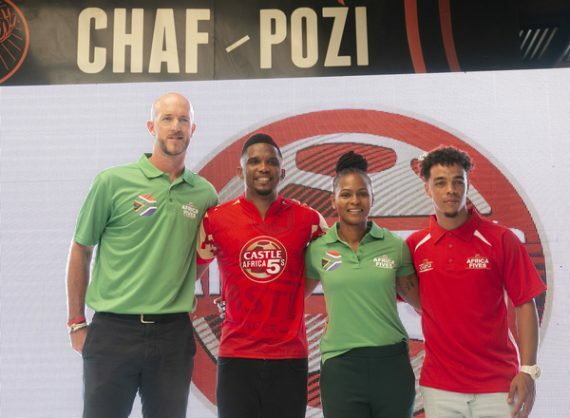 This year’s Castle 5s social league has been diversified with the introduction of the women’s with former Banyana Banyana captain Amanda Dlamini selected as an ambassador. Dlamini, who retired from national duty in 2018 joins Matthew Booth (South Africa), Ivo Mapunda (Tanzania), Tinashe Nengomasha (Zimbabwe), Christopher Katongo (Zambia), Siza Dlamini (Swaziland) and legendary football icon Samuel Eto’o as the competition’s ambassadors. “It is a privilege to be part of this competition and I think it is great that they have introduced the women’s league. This will help in term women’s football development,” said Dlamini. Ghana, Nigeria and Uganda have also been included for this year’s competition, with the finals set to be staged in Dar es Salaam, Tanzania. The ultimate winners will walk-away with an all-expense paid trip to a Ligue 1 match in Milan, hosted by Eto’o.